In the late 1990s, Twentieth Century Fox would have paid screenwriter Dean Devlin (Stargate, Godzilla ’98) a life-changing boatload of money if he wrote a sequel to his quintessentially 90’s movie, Independence Day. The story goes Devlin neither turned in the script nor cashed the check to make the sequel to the highest-grossing movie of 1996. Instead, Devlin waited twenty years to develop a follow-up with oft-collaborator director/ co-writer Roland Emmerich (Stonewall, White House Down). And what is the difference after a solid twenty years has passed? Apparently they’ve subtracted the star, added three more writers, tacked on $50 million to the budget, but still manage to turn in a movie worse than its predecessor despite plot elements introduced at the end that would potentially set up an intriguing premise. Although a notable absence in franchise heart and superstar Will Smith, plenty of hilariously (in a bad way) convenient plot points, and lackluster special effects, pop culture icon Jeff Goldblum (Mortdecai, The Grand Budapest Hotel) provides enough nostalgia and laughs for Independence Day: Resurgence to satisfy fans of the original and B-movies/ Sci-Fi in general—but it ends there. While doing press rounds for his latest film, director Emmerich openly criticized the comic book genre, finding it “silly” and adding, “I don’t understand it.” The director of 10,000 B.C. and The Day After Tomorrow can’t see the similarities in blockbusters because he can’t get past the costume. “A lot of Marvel movies, they have people in funny suits running around,” Emmerich said to the Guardian, “I don’t like people capes.” Perhaps Emmerich should have taken a note or two out of the Avengers’ playbook. 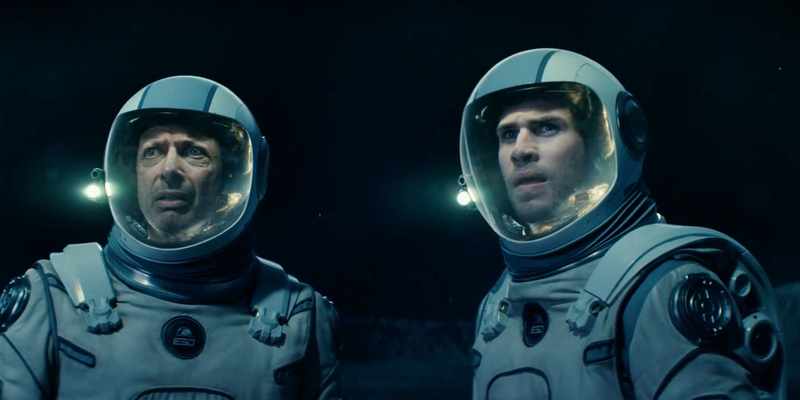 Independence Day: Resurgence offers very little outside of sheer blockbuster spectacle in 3D. Despite a few returning characters like Goldblum’s “Dr. David Levinson” getting their share of the spotlight to perform and create a role, the franchise’s new characters do very little but play make-believe at some CGI. I felt highs and lows in Captain America: Civil War, I felt ripped off at the end of Resurgence. In blockbuster terms, IDR amounts to a B-movie with a colossal budget. On that level, the film hits all the right notes. Everything that made the first well-loved gets amplified, but to a detrimental level. The mothership is a laughable three thousand miles in diameter, the aliens are simply bigger and angrier, the CGI never ends, and a fan-favorite character presumed dead from Independence Day returns in perfectly contrived fashion if only to satisfy viewers. The plot itself reiterates the recent stereotype in television and film that crazed victims of alien abduction/ technology compulsively write on the wall in celestial characters of mathematics and language. Goldblum, himself a B-movie icon from the early David Cronenberg film The Fly, gives the only believable performance of the cast. The actor executes his trademark method of what “Community” has dubbed “Goldbluming” and continues Dr. Levinson’s fast-talking, witty, and problem-solving rhythms. Bill Pullman (While You Were Sleeping, Spaceballs) returns to play the former U.S. President, one of the characters suffering from “alien contact-itis” and, unfortunately, has his role reduced to a migraine-sufferer with a predictable, albeit heroic, arc. Judd Hirsch (“Numbers,” “Taxi”) also reprises his role of Levinson’s proud, faithful father, again providing much of the film’s humor despite following a bizarre, convenient, and predictable trajectory. Nearly all the featured young pilots (rising stars such as Liam Hemsworth, Maika Monroe, and Jessie T. Usher) obviously spent the majority of their shoot shouting at green screen or performing stunts. Independence Day: Resurgence surely failed to live up to the well-liked, widely-seen 1996 original that grossed over $800,000,000 in the nineties. Taking a page from the book of fellow blockbuster extraordinaire Michael Bay, director Roland Emmerich gets a bigger budget and more than doubles down on writers to produce a bloated, effects-driven collection of scenes strung loosely together by a paper-thin plot. In the twenty years since the first alien invasion, the viewer is expected to believe that human technology has advanced one-hundred fold while alien tech hasn’t budged? Suspended disbelief can only go so far, and in the case of IDR it merely goes about fifteen minutes until Jeff Goldblum and 3D are the only reasons a person can keep invested.